Half of what we learn in any single day we forget 24 hours later…that’s the Law of Forgetting. Ninety percent of what we learn is forgotten in a month. 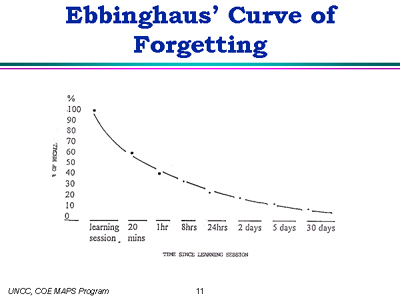 A plot of forgetting is called the Ebbinghaus Curve and it was drilled into us in Journalism School. The Law of Forgetting is why you need frequent communications. It’s why people who tried a press release once or running an ad once or doing a mailing once were unsuccessful. Nobody remembers who you are or what you do by hearing from or about you only once. We tell people to think of how they teach a nursery rhyme. They repeat, repeat and repeat again. That’s how successful marketing communications works as well. 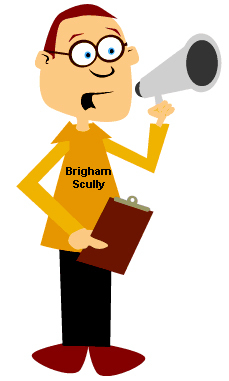 for you or your referral. "I wish more firms would follow your example of posting high-resolution photos on an easily accessible Web site. This works out great for editors on our staff." this email, please feel free to forward us that information or call us at (818) 716-9021!